Shilpi Banerjee serves as chief IP counsel, Memorial Sloan Kettering, and she is associate general counsel. She directs the Office of Technology Development’s Contracts Unit, where she leads a team of attorneys handling agreements related to the research enterprise at MSK, including sponsored laboratory research and clinical research, as well as transactional and litigation matters related to MSK IP. 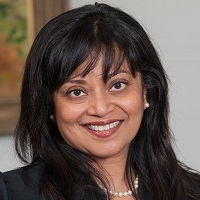 Banerjee received her JD degree from Stanford Law School in 2002 and her PhD in 1993 from the Department of Microbiology and Molecular Biology of Tufts University School of Medicine.